Let go of our elephants!!! According to world elephant day, elephant numbers have dropped by 62% over the last decade, and they could be mostly extinct by the end of the next decade. An estimated 100 African elephants are killed each day by poachers seeking ivory, meat and body parts, leaving only 400,000 remaining. An insatiable lust for ivory products in the Asian market makes the illegal ivory trade extremely profitable, and has led to the slaughter of tens of thousands of African elephants. Between 2010 and 2014, the price of ivory in China has tripled, driving illicit poaching through the roof. 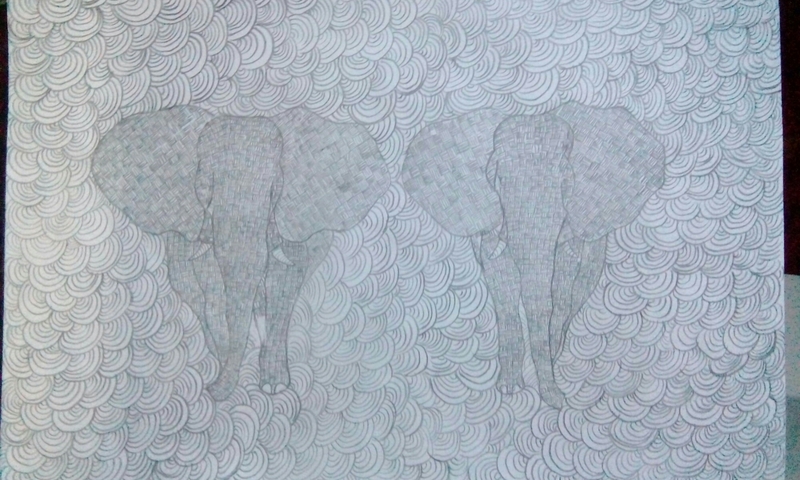 If the elephants are to survive, the demand for ivory must be drastically reduced. As of 2011, the world is losing more elephants than the population can reproduce, threatening the future of African elephants across the continent. Bull elephants with big tusks are the main targets and their numbers have been diminished to less than half of the females. Female African elephants have tusks and are also killed, which has a terrible effect on the stability of elephant societies, leaving an increasing number of orphaned baby elephants. Elephants and humans share a long history throughout our civilization. The expanse of the African habitat and the enormous size and aggressive posture of the African elephant has allowed it to resist captivity. But the Asian elephant has lived alongside humans for over 4,000 years and is imbued with reverence, tradition and spirituality across many cultures. In Thailand, the elephant is a national icon: it has a national holiday designated in its honor and elephants can receive a Royal title from the King. Yet while elephants have lived alongside humans for so long, there is still much we don’t know about them. With the largest brain of any land animal, they are smart, sentient, social and empathetic, qualities we strive for ourselves. We share so many characteristics with elephants that they may well be more like us than any other animal. But we are risking their future and, in the process, damaging the integral habitat required for biodiversity throughout Asia and Africa. Elephants are a keystone species. It means they create and maintain the ecosystems in which they live and make it possible for a myriad of plant and animal species to live in those environments as well. The loss of elephants gravely affects many species that depend on elephant-maintained ecosystems and causes major habitat chaos and a weakening to the structure and diversity of nature itself. To lose the elephant is to lose an environmental caretaker and an animal from which we have much to learn. We can save elephants by implementing stronger protection policies for wild elephants at both local and international levels of government; stronger enforcement and legislative measures against the poaching and illegal trade of ivory; better management of natural elephant habitats; better education about the vital role of the elephant in ecosystems; more viable alternative economic opportunities for those whose livelihoods depend on elephants; improved treatment for captive elephants; and, where appropriate, reintroduction of captive elephants into protected sanctuaries that allow a natural replenishing of endangered populations. These are just some of the goals that numerous elephant conservation organizations are focusing on around the world to prevent the extinction of wild elephants and the destruction of their habitat, and to improve the quality of life for those elephants in captivity. Where there is unity there is always victory. Wonderful things can be achieved if we stand together. There’s no giving up when we are hand in hand together finding our common quests. Where people are fighting each other, there’s always poverty. 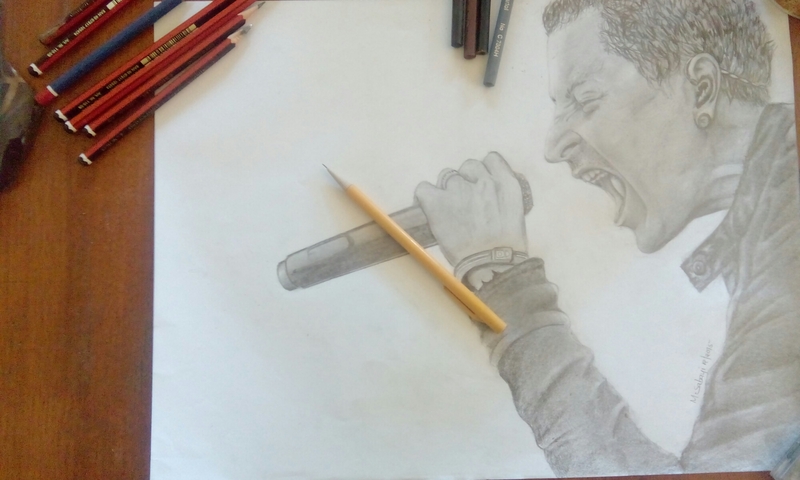 This drawing of Linkin Park’s Chester Bennington closes the chapter in my 2015 artworks. It has been a wonderful year full of success and failure, happiness and sadness, quite an adventure. It was the year that I have seen progress in my art life, leave alone the other part of my life. I have allowed myself to make mistakes. That’s creativity. Now I know which ones to keep. That’s art. 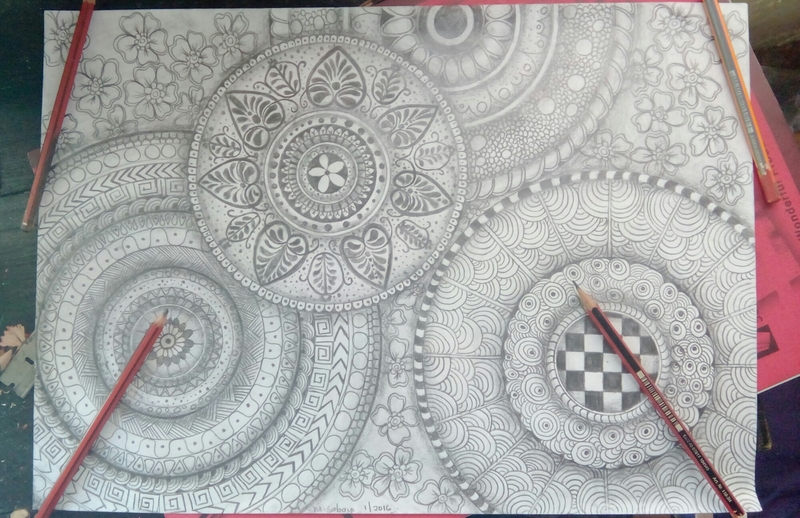 If ever I die a famous artist, like Leonardo Da Vinci, I’d prefer no biography, my art throughout is the window to the story of my life. I know this isn’t the perfect art for such words. Forgive me. 2016 will be better. I wouldn’t say much about the other part of my life, that’s another story. Thank you God for bringing me up to this point of life. 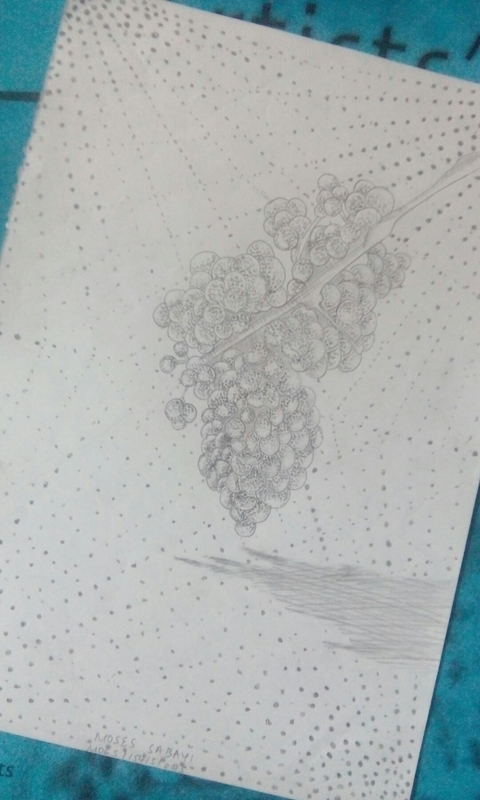 In my series of exploring my creativity, I’m drawing grapes but using stippling method to create shadows. 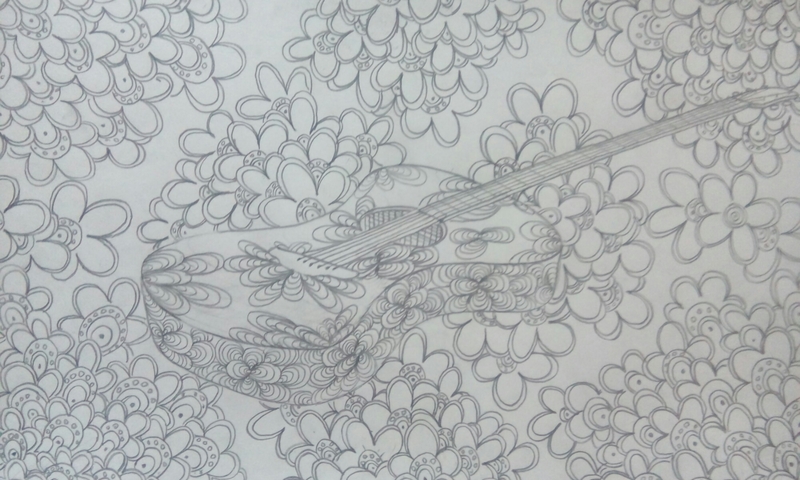 In my third drawing of ‘exploring my creativity’, I’m drawing a guitar rendering it with different lines. 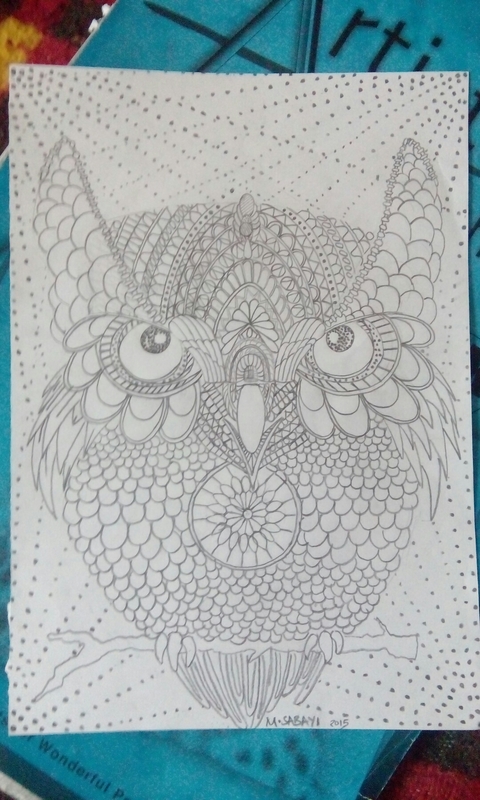 In my second series of ‘exploring my creativity’ , I’m drawing an owl but rendering it with different lines. 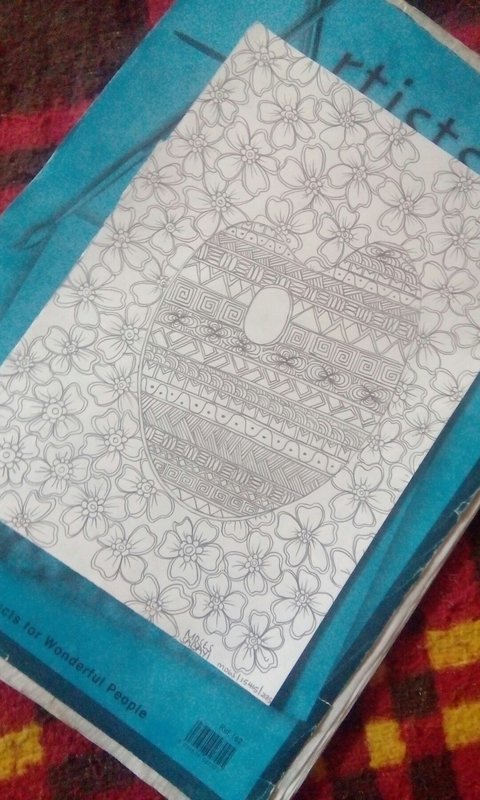 Instead of drawing a realistic owl, I figured out that it’s not everything that it’s realism we can still create amazing things with just simple stuffs. It’s so amazing how much you can play around with lines and produce something incredible that you can’t believe you are the one who created it! This is a perfect example. I didn’t know the most ignored lines like curved and waves can produce incredible work. 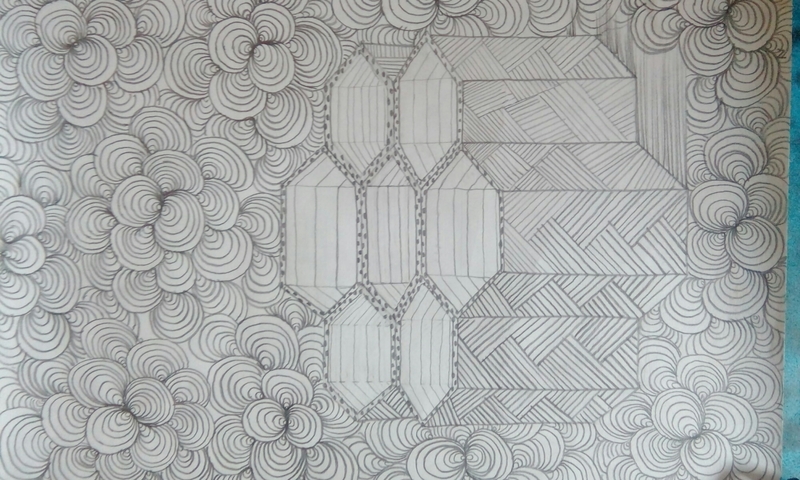 I was simply expanding my creativity when it comes to using lines only. 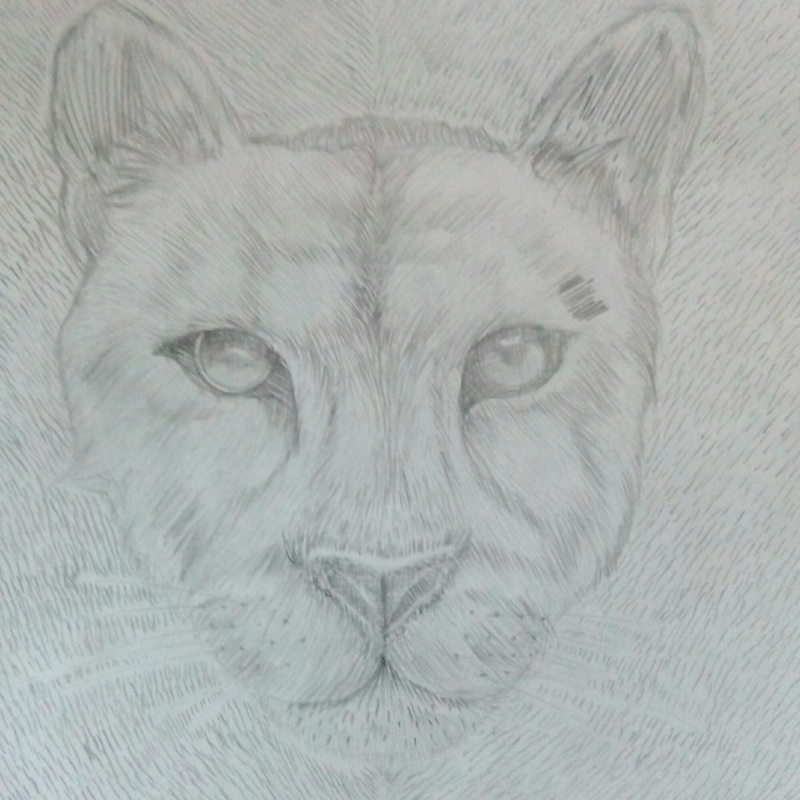 This was my school’s assignment so i decided it would be great to share it with you guys.